What is Laravel? What are the prerequisites for learning Laravel? 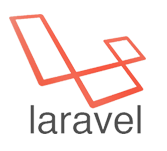 Laravel is a toolkit created by Taylor Otwell for designing web applications. It’s a great, simple and well-designed MVC PHP framework toolkit use to develop complete featured web applications. This tutorial would discuss and explains the fundamentals of Laravel framework. Anyone can learn and design apps though they have no experience or basic knowledge on Laravel. To learn Laravel one must have basic understanding with the HTML, Core PHP, and Advance PHP. In this tutorial we used, Laravel version 5.1 in all given examples.